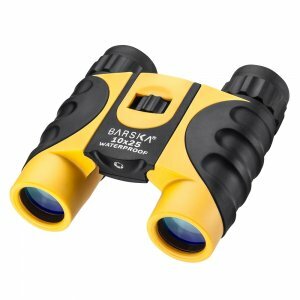 The 12-60x70 Escape Zoom Binocular from Barska has multicoated BK-7 optics in a traditional Porro prism design. 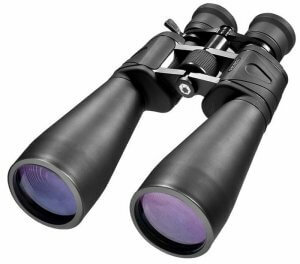 The moderate objective size improves the ability to steadily hand-hold the binocular without a distracting amount of movement or the need for a tripod. 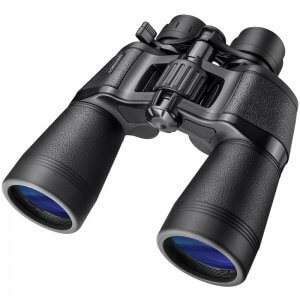 This allows the Escape Binoculars to always available for immediate use whenever those unexpected must-see situations present themselves. 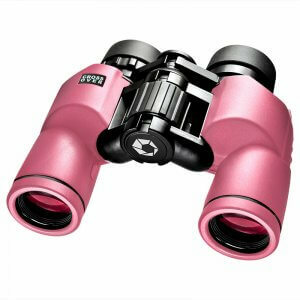 A large tactile center focus knob makes for fast and precise focusing while the zoom lever allows the user to easily zoom in without taking their eyes off the subject. 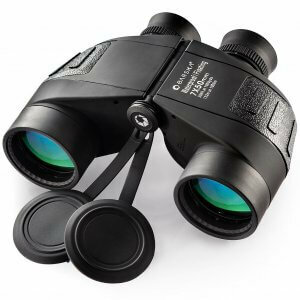 An eyepiece diopter adjustment allows customization for each individual eye affording less eyestrain over long-term viewing. 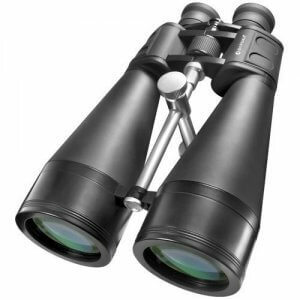 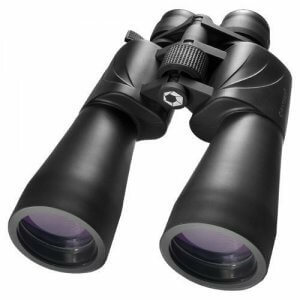 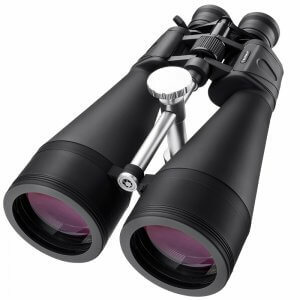 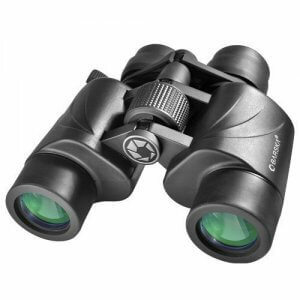 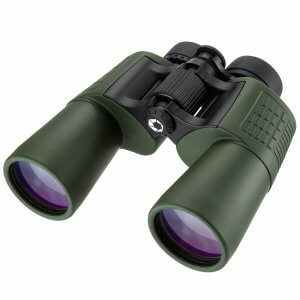 This binocular has shock-absorbing rubber armoring for a comfortable, secure and slip-free grip. 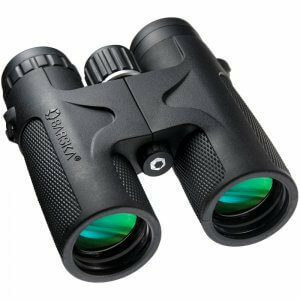 It is designed for convenience, mobility and ease of use.